Redefining college and career for all. 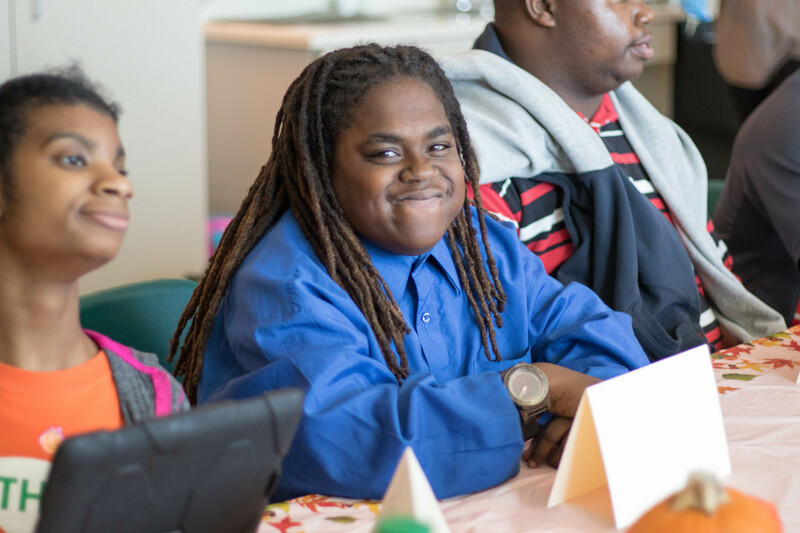 Opportunities Academy [OA] is Collegiate Academies’ rigorous, post-secondary full day program for scholars with intellectual and developmental disabilities. Carver High School houses our OA program on its campus, and students attend class there and at Delgado campuses in addition to attending internship and externship at Collegiate Academies schools and community businesses. 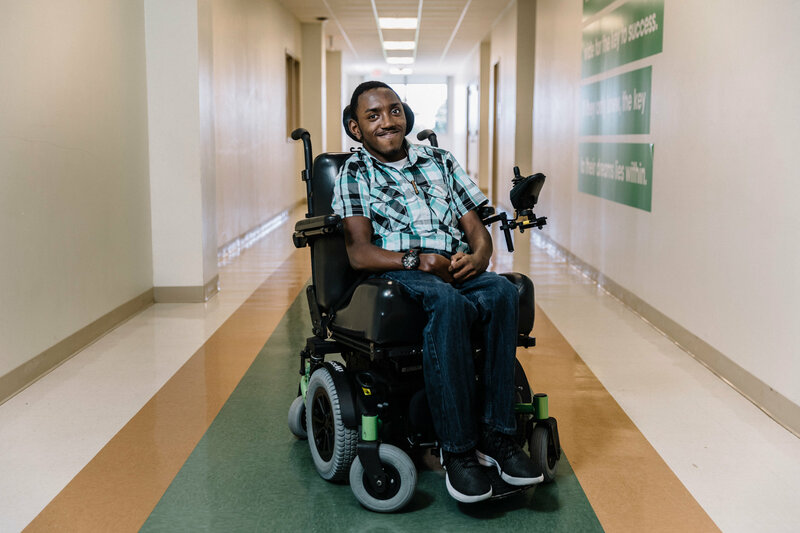 OA supports each student in achieving his or her highest level of independence in pursuit of meaningful and fulfilling personal and professional outcomes in the areas of independent living, community access, and career readiness. 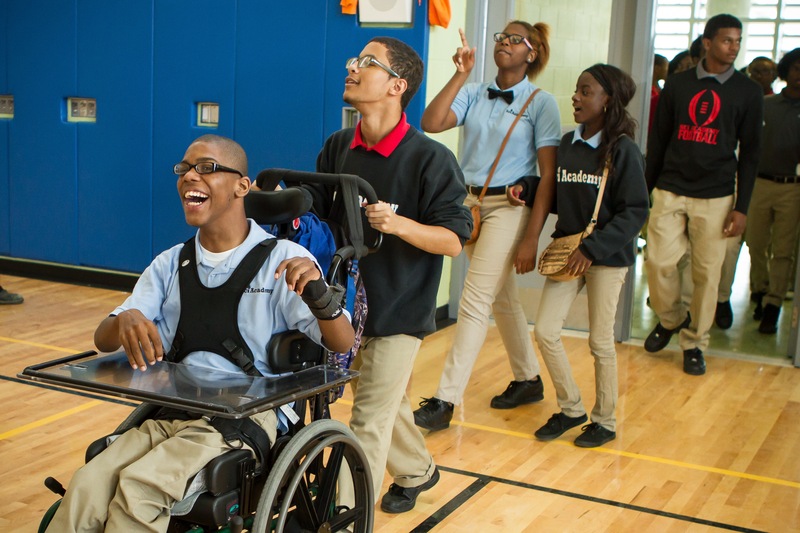 Opportunities Academy [OA] is Collegiate Academies’ rigorous, post-secondary full day program for students aged 17-22 with intellectual and developmental disabilities. 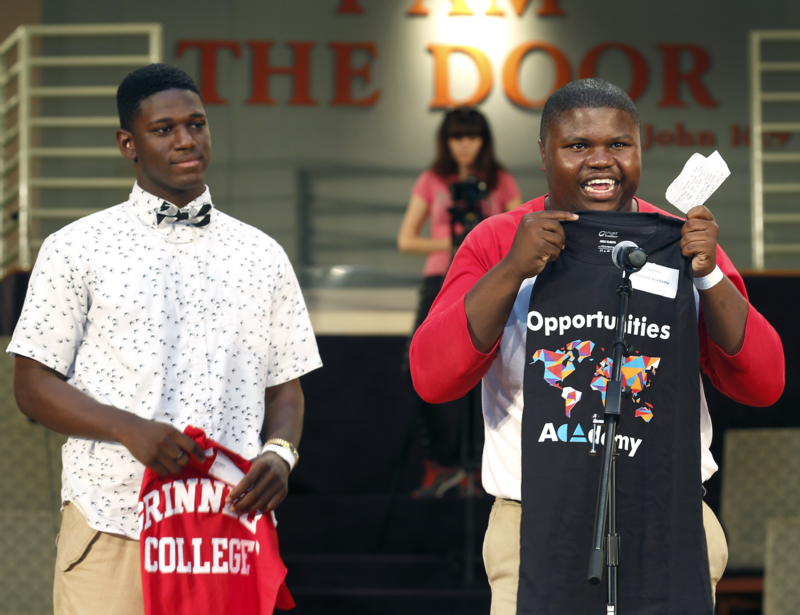 Opportunities Academy redefines ‘college and career for all’ by empowering students to build lives of independence, connection, and happiness. We hold and strive for the most ambitious visions. We embrace failure and learn from it. We can rely on ourselves to take action always. We choose to look at the positive in all things and have confidence in ourselves and our teammates. We explore our interests and the world. We use our new-found knowledge to improve ourselves and others. We are kind, loving, and helpful to all people and all things. We are located on the G.W. Carver Campus, 3059 Higgins Blvd, New Orleans, LA 70126. Visit us, or reach out by phone at (504) 503-1421, fax at (504) 814-1721, or email at hello@opportunitiesacademy.org. 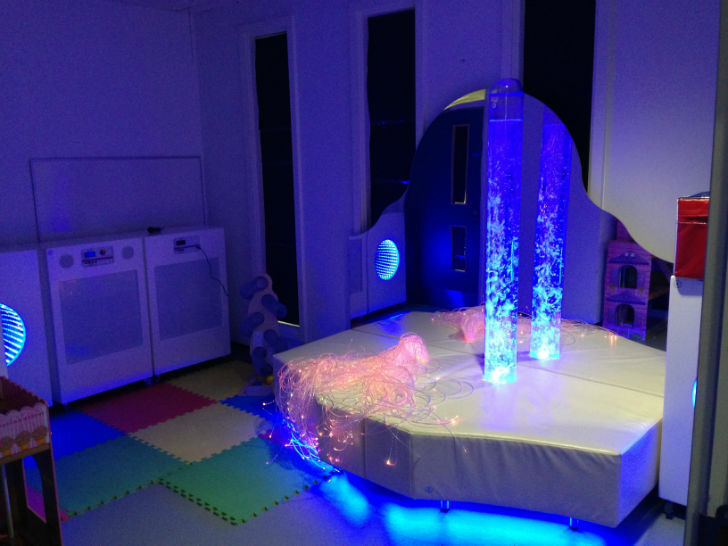 Opportunities Academy features an enterprise reinforcing employment and independent living skills. rOAst is a student-run coffee shop on three Collegiate Academies campuses. 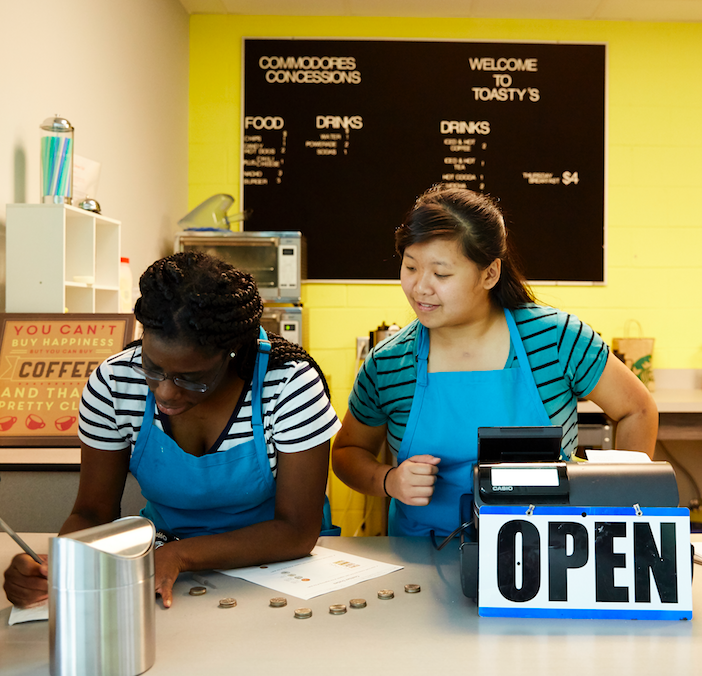 Each location provides real-world job experiences, as students develop a familiarity with point of sale technologies, customer service skills, and food and beverage preparation techniques. Other students are placed in an externship position with a business in the community. Our students work at Ma Momma’s House of Chicken and Waffles, Hyatt, Louisiana SPCA, and Magnolia Physical Therapy. internships and job skills like prepping for interviews. making friends, helping others, and building a community. practicing how to independently do daily chores for home living success. everyday math and reading skills. using public transportation and navigating the community. accessing the community: library, movies, bank, mall, museums, gardens, public pool, healthcare, and grocery stores. create a support system with local agencies for services. create lasting friendships and social networking opportunities. grocery shop and prepare healthy meals. independently access the bus for transportation. live more independently at home, with roommates, or alone. *Limited space available. Enroll now by calling 504-503-1421 or emailing hello@opportunitiesacademy.org. To apply for a seat in the 2019-2020 school year, families should complete a OneApp and select school code 111: New Orleans: CA Opportunities Academy. Round 2 of the OneApp opens on April 15. Click here to download the 2018-19 Academic Calendar. See what’s cooking at OA by clicking below. As members of G.W. Carver’s campus, we follow their handbook. Opportunities Academy as a matter of policy provides educational opportunities without regard to race, creed, color, national origin, religion, gender, sexual orientation, gender identity or expression, marital status, disability, or age. In addition, Collegiate Academies does not permit or condone discrimination based on race, creed, color, national origin, religion, marital status, gender, sexual orientation, gender identity or expression, physical disability, or age in employment matters or assignment in programs or services provided. If you wish to discuss the regulations governing these policies, or wish to discuss a concern or file a grievance, please contact our James Lukens at 504-503-1421. Any student, parent/guardian, employee or employment applicant who feels that he/she has been discriminated against on the basis of race, creed, color, age, national origin, religion, gender, sexual orientation, gender identity or expression, marital status, disability, or marital status may discuss and/or file a grievance with the appropriate compliance. Reporting should take place, in writing, within forty (40) calendar days of the alleged discrimination. A student or parent/guardian of a student who has a question or concerns may choose to seek the help of the building administrator or another adult with whom they trust, such as a teacher, counselor, nurse, psychologist. If satisfaction cannot be achieved through this discussion, the adult sought by the student should assist the student in reporting the incident, in writing, to the school compliance officer, [SCHOOL SITE PERSON RESPONSIBLE’S NAME AND CONTACT INFORMATION] The goal is to resolve the problem at the lowest possible administrative level with an equitable solution. Click here to download Carver's Handbook.